Good worldbuilding can make such a huge impact on your story. In fact, some of the most well crafted worlds tends to be remembered by readers for years and years. So how do you create an amazing world for your story and characters? 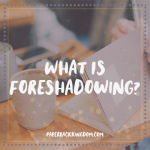 Well, there are three aspects you should focus on, and I’ve outlined them in this blog post! The first thing writers tend to focus on is how your settings look–which is important to help the reader visualise what’s going on. But let’s dig deeper than the basics and really figure out what makes your world a certain way. Is your town old fashioned, with diners and retro cars, old historical buildings and a drive in movie theatre? Is it a bustling, urban city with skyscrapers and lights and traffic and a Starbucks on every street corner? Is it a prestigious town with glamorous mansions and high end boutiques and an elite circle of parents on the PTA trying to beat each other at the annual bakers sale? Now, let’s take it even further–where on the map is your town? Nestled in the sunny countryside? In a dreary forest area where it always rains? Finally, what’s your town known for (e.g. farming, education, community spirit, etc.) and why do people choose to live there? All of these details can really help improve your world building, and even your backstories and characters too. This one is especially good for fantasy or dystopian worlds and writers. Brand new worlds are going to need a lot more work than just a regular setting based on our world, and something that can really enhance the realism of your world is including cultural aspects. Every single country on Earth has their own unique culture–so why wouldn’t your world? Take into consideration different values, customs, and traditions that might create the foundation of your world’s culture. What kind of festivals or ceremonies do they hold? What do they find honourable and dishonourable (and why)? What myths, stories or beliefs do they pass along through their generations? What kind of clothes do people wear? What kind of food do they eat? What kind of family roles do they have? What kind of body language is common? 3) How Does The World Operate? In our own world, we have technology and politics, history and events to ground us and guide us through our lives. Without these crucial things, it’s likely that our world would be in a lot more chaos. So think about what makes your world go round. Is there such thing as magic? How does it work? Who has access to it? Is there a political or government system? Who’s in charge? What are they like? What do the people think? Is there such thing as technology? How advanced is it? What does it allow people to do? Who can access it? What’s happened in the past? Have wars, plagues, or famines affected people? What impact has it made? These are all important questions to consider, and I recommend you take some time to think about these details as it will truly help. A Song Of Fire And Ice – There are tons of families with their own values and traditions, so it’ll be insightful to see under which circumstances they work together and clash. Lord Of The Rings – The Fellowship are made up of many different characters from different backgrounds, which should serve as useful research. The Hunger Games – I remember distinctly from reading this series how in the capital, a value they had was to live richly and glamorously, even going as far as to forcefully vomit up food at parties so as to enjoy more delicacies. Seeing the contrast between their ridiculously rich lifestyle and the values of the rest of the 12 districts will be very helpful. The Bone Witch – This one is a favourite of mine, and I loved the unique fantasy take on Asian culture and lifestyle mixed with a fantasy, medieval world. It’ll definitely help you shift perspective. Divergent – This series reminds me of The Hunger Games, but it offers yet another take on core values that differ via faction, and how the factions work together to run their city. Harry Potter – Chances are you’ve read this one, but go back and take a look at all the incredible world building involved in this series. 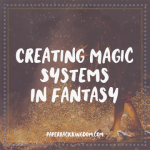 Everything from made up spells and societies, school curriculum, wizarding world traditions and ways of life can help you figure out how to better enhance your own world building. Pagan is a YA fiction author, as well as a writing coach & business strategist for Paperback Kingdom.